Hôtel Mezzara: A New Phase for Art Nouveau Route? Has the time perhaps come for Paris to enter into a new phase of the Art Nouveau Route in order to invigorate its Belle Époque heritage? Currently abandoned and in the process of being sold, the Hôtel Mezzara mansion, built at 60 rue de la Fontaine in 1910 by Hector Guimard, is the perfect building to create this space, a beacon of French Art Nouveau. 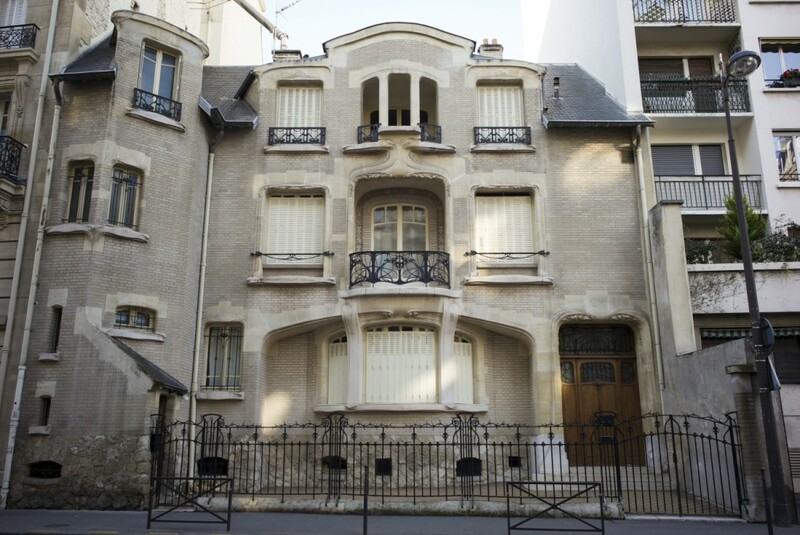 The association Le Cercle Guimard has begun working towards acquiring the mansion to convert it into a living testimony to the architect of the Paris underground - and in the process, provide the missing link between the French and European Art Nouveau movements. Designed for a Venetian textile industrialist, the Hôtel Mezzara has retained its original interior layout, with its reception rooms, workshop and living spaces distributed around a large cathedral ceiling hall crowned by an impressive stained glass skylight. All its decorative elements have been preserved, including stucco cornices, wrought iron ornamentation, fireplaces, stained glass doors, etc. The mansion has also uniquely managed to maintain a complete dining room ensemble, the only example today of a fully furnished, decorated space by Hector Guimard. As part of the exhibition in Barcelona in 2012 entitled "The Other Pedreras", dedicated to the great contemporary works of Gaudí´s Casa Mila, the Mezzara mansion was a clear winner as the representative building of Parisian Art Nouveau. Le Cercle Guimard is planning the creation of a Guimard Foundation to provide substance to this project, to be headquartered in the mansion in order to ensure the future and promotion of this Art Nouveau jewel. But Le Cercle Guimard is also aware that it cannot undertake this ambitious project alone and has called on all institutions and lovers and fans of Art Nouveau to join in supporting it with this initiative. Contact our association now for the good of Art Nouveau, Paris and Guimard. 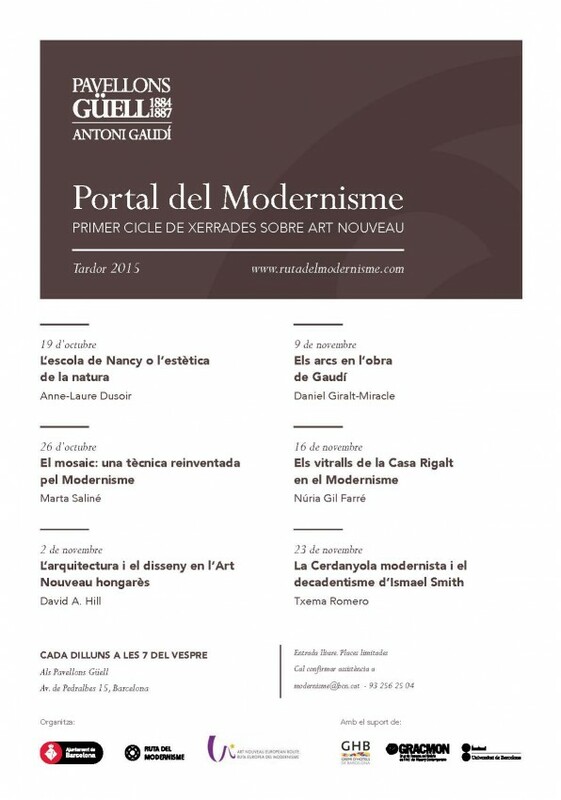 The "Gateway of Modernisme" autumn lecture series, to be held at the Güell Pavilions every Monday at 7pm between 19 October and 23 November 2015, will feature expert speakers in the field of Catalan Modernisme and Art Nouveau in Nancy and Budapest. Click here to access the lecture series program. 4th International Egon Schiele Research Symposium 2015. Call for Papers! The Egon Schiele Jahrbuch, Vienna is organising the 4th International Egon Schiele Research Symposium that will be held on 27 November at the Albertina Museum in Vienna and on 28 November at the Galerie am Lieglweg in Neulengbach. Call for papers and registration is opened until 5 October 2015: symposium@egon-schiele-jahrbuch.at. 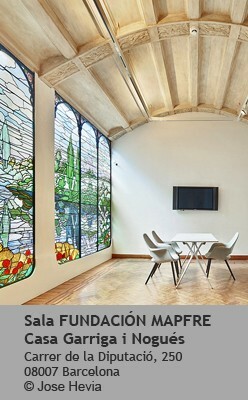 The Mapfre Foundation has opened an exhibition space in Barcelona in the Modernista Garriga Nogués building, formerly the headquarters of the Godia Foundation. This initiative by the Mapfre Foundation aims to increase the number of cultural options in the city with its plans to invest an annual amount of four million euros to be able to celebrate three to four exhibitions per year. From 10 October 2015 to 10 January 2016, the Mapfre Foundation is presenting an exhibition entitled "The Triumph of Colour: Van Gogh to Matisse. From the Orsay and Orangerie Museum Collections". The show inaugurates an extensive programme of world-class exhibitions devoted to the beginnings of modernity in the visual arts and photography. Casa Garriga Nogués is a Modernista building that was designed by the architect Enric Sagnier between 1899 and 1905. The mansion´s spectacular marble staircase, stained glass windows, mouldings, paintings and other major architectural elements bear witness to the lifestyles of the Catalan bourgeoisie in the 19th century. The building was restored and renovated in 2007 by the architect Jordi Garcés, who transformed it into a modern exhibition venue measuring some 2,700 m2. The Gallery Belvedere has digitalized the magazine Ver Sacrum and it is now available as researchable PDF files. 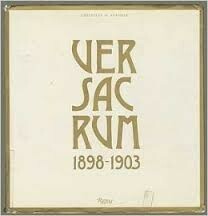 Ver Sacrum ("Sacret Spring" in Latin)! 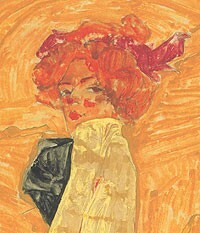 was the publication of the Vienna Secession. Featuring drawings and designs in the Secession Style and literary contributions from distinguished writers from across Europe, Ver Sacrum was devoted to the communication and dissemination of modern art. Published between 1898 and 1903, Ver Sacrum appeared monthly, but from the third year, it was available twice monthly with a smaller print run.